For the longest time I have heard about this place called Peppis on Pittsburgh’s Northside that has great sandwiches. And, I also heard about how they have a sandwich named after the Pittsburgh Steelers famous and current Quarterback, Ben Roethlisberger named “The #7”. Peppis is a great place to take anyone. It looks like an old sandwich shop that has some really great pictures of Pittsburghers, family and famous Pittsburgh athletes, present and past. You order right at the counter..just a reminder…it is Cash Only! You will see a menu with a lot of cool options to order…mostly Pittsburgh themed: The Heath, Cathedral, the Big Wheeler and my choice: The #7 also known as the Roethlisberger. The #7 or the Roethlisburger is an amazing sandwich! Peppis combines Sausage, hamburger, cheese and egg on a hoagie roll. The sausage had the perfect amount of kick, the hamburger blended nicely with the sausage, top an egg off the grill and melted cheese. I added lettuce and tomato, It was big! I could hardly finish it on my own. 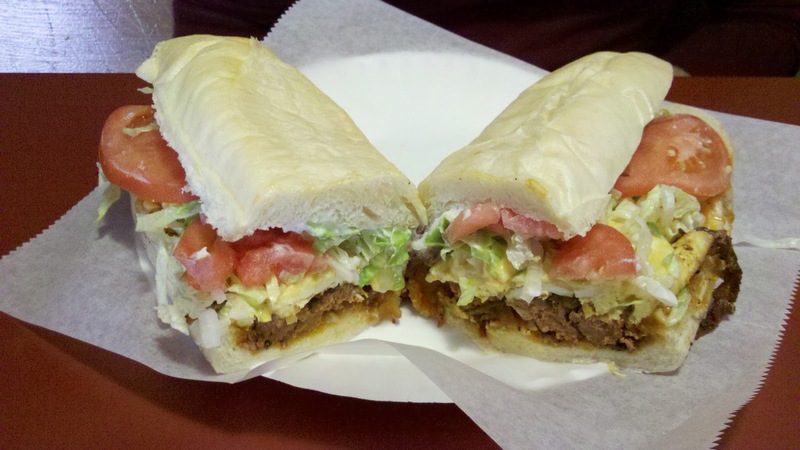 Peppis #7 sandwich is a great tribute to the Steelers fans, Ben Roethlisberger and hungry fans all over the city. I believe my next visit I will have to try TheHeath.